Pen & Ink Give Life to Imaginative Flora & Fauna Fantasies. Whimsical, Story Filled Illustrations Wonderfully Watercolored. What fascinates me about the creative spirit is how easily it finds a home in many artistic pursuits, whether related or not. Some techniques naturally lend themselves to exploring others as an artist evolves their style, while still others don't show an obvious segue. 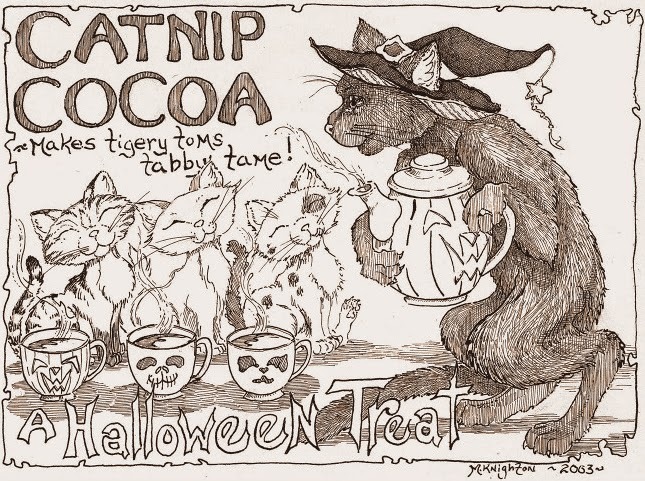 The more I get to know different talents in this town, the more I see that the latter is as common as the former, and a stunning example is Monica L. Knighton, an Illustrator, Jewelry Maker, Writer and so much more. Monica's interest in crafting started at an early age, fostered by the hobbies of her mother and side jobs she held throughout her schooling. In college, she pursued a degree in Studio Art, but didn't stop there. 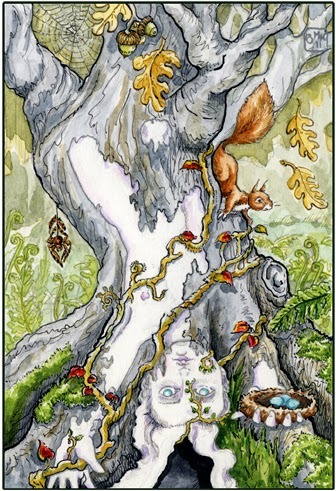 I have no doubt that she will be ever exploring different techniques, but the areas she currently shines include hand drawn imaginative scenes and hand written stories to support them. She finds much of her inspiration in what she reads, from poetry to mythology to folklore. These rich works of literature plant seeds in her mind that eventually come out on paper as fantastic beasts, brilliant in all their detail and conveyed emotion. 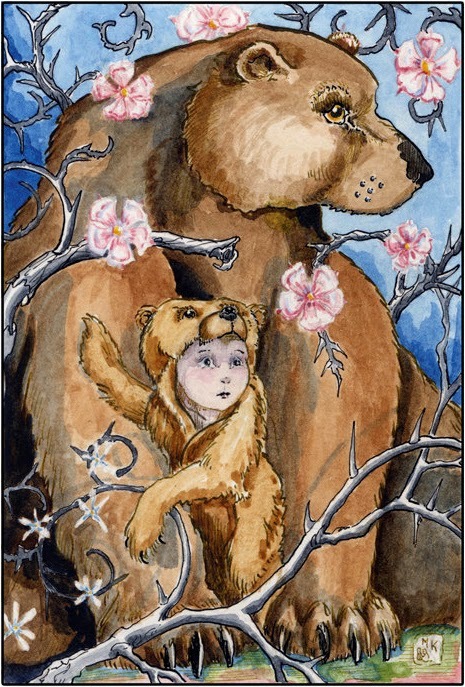 She uses pen and ink as the foundation for each piece, then often applies watercolor for depth and whimsy. Monica has created several series that illustrate her style very well, including a couple sets of Tarot cards and a set of portraits of stags represented like saints. I personally love her "Stolen Child" depictions where she places young kids in the wonders of nature with animals that step in as caregivers. You are welcomed in to imagine how the child wound up in this position and what their life must be like in the wild. 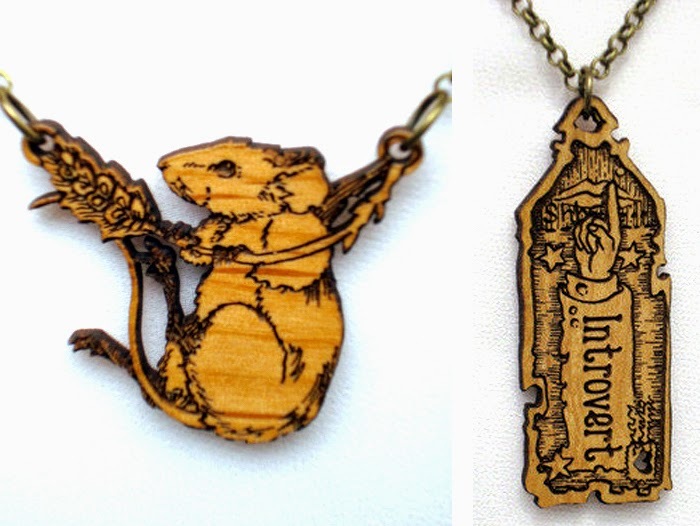 Monica has also taken some of her illustrations and repurposed them in wood, creating intricately detailed, laser cut jewelry, perfect for lovers of literature and fantasy. The creativity and talent that she employs make each illustrated piece, whether on paper or wood, worth so much more that 1,000 words!